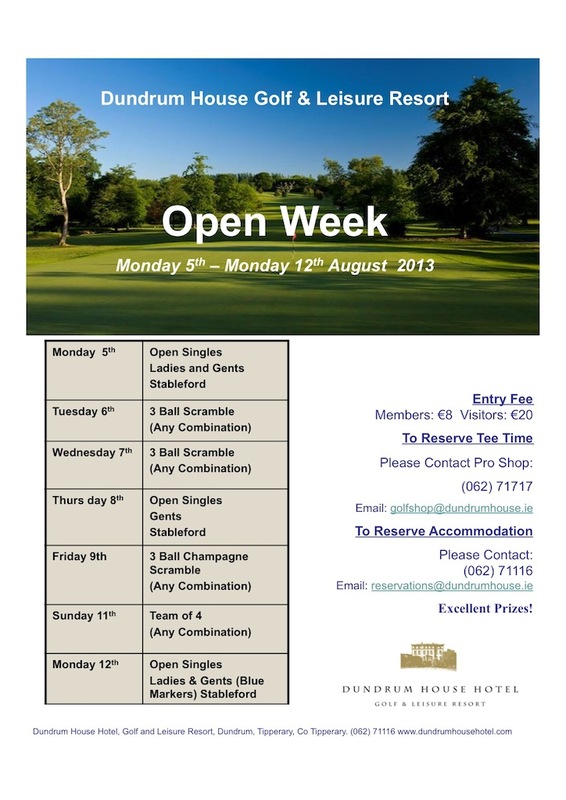 Based on the Open Week poster (below), Dundrum House is focusing on the fun of Scrambles. 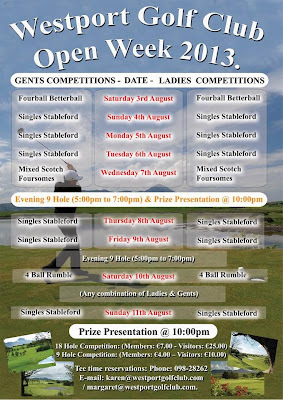 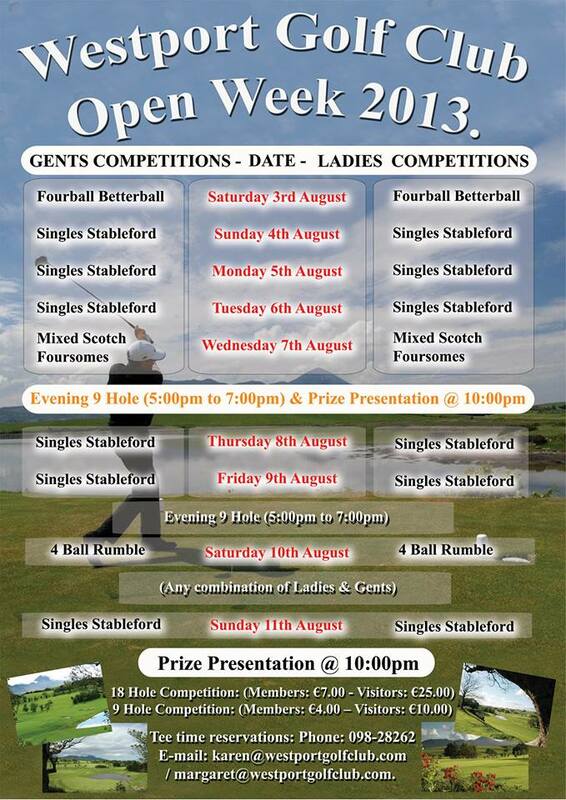 Singles and team events are also available, with visitor rates of €20. 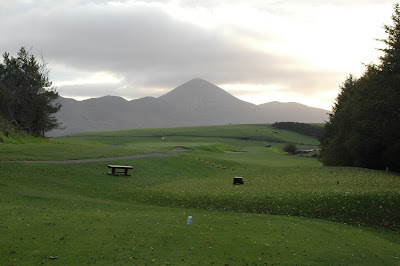 With its stunning views and open spaces, Westport Golf Club has always felt like a 'big' course on the coastline of Co. Mayo. Slow to start, it's true, but a back nine to be reckoned with and savoured, with the sea nuzzling up to the par five 15th (my favourite 15th hole in the country) and some big slopes to tackle. 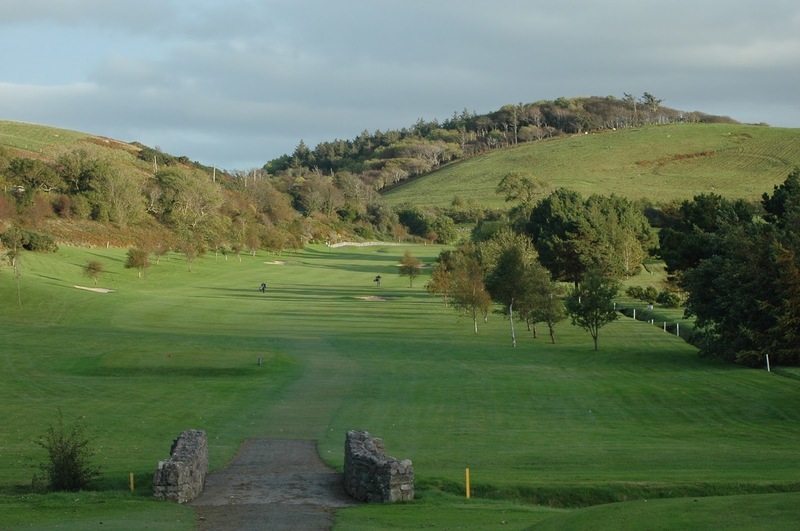 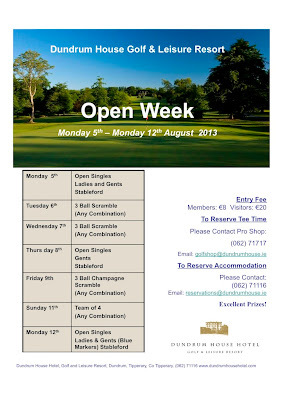 Open Week is a variety of Singles (mostly) and Fourballs (be it team, rumble or foursomes), with a green fee of €25 for visitors (10 for the 9 hole competitions.